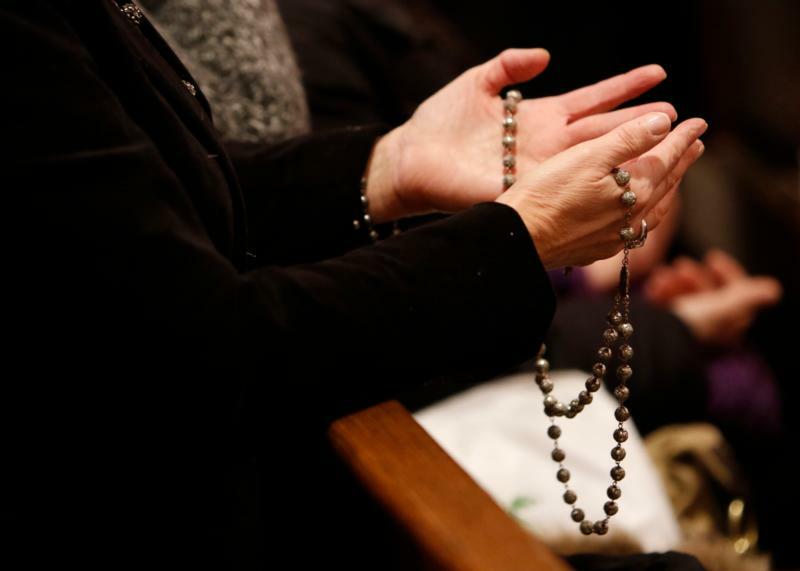 NEW YORK (CNS) — On the 46th anniversary of Roe v. Wade, “a night when darkness claims the victory,” more than 500 people gathered at St. Patrick’s Cathedral to give thanks for the gift of life and pray for an end to abortion. The Jan. 22 Mass and a Holy Hour that preceded it were timed to coincide with Gov. Andrew Cuomo’s signing of the Reproductive Health Act, legislation that effectively removed restrictions on abortion in New York. Auxiliary Bishop Peter J. Byrne of New York was the principal celebrant of the Mass. Auxiliary Bishop James Massa of Brooklyn concelebrated with eight priests. The Sisters of Life organized the cathedral event, which drew a diverse cross section of New Yorkers. The Franciscan Friars of the Renewal provided music and reflection for the Holy Hour. He described “the victories of mercy” that brought three prominent people into the pro-life movement. Former abortionist Dr. Bernard Nathanson, former Planned Parenthood clinic director Abby Johnson and Norma McCorvey, the “Jane Roe” of the Roe v. Wade legal case were moved by the faith, charity and mercy of peaceful abortion protesters, he said. “Our culture doesn’t understand mercy. It’s from another world. Mercy’s name is Jesus,” Father Veras said. The Catholic bishops of New York vigorously opposed the Reproductive Health Act. “The serpent thinks he leaves us in despair, but Jesus comes to us. … His mercy endures forever,” he concluded. At the Mass, prayers of intercession asked for a conversion of heart for legislators and sought repentance for all laws that fail to protect children in the womb. The earliest born baby to have survived is James Elgin Gill, who was born in 1987 in Canada. James was born at 21 weeks and 5 days old – meaning he was 128 days early. His birth weight was an incredibly miniscule 1 pound and 6 ounces. At the time of his birth, doctors expected James to pass away since he was so drastically premature. They also said that if he did survive, his parents should expect him to have multiple severe handicaps, but the baby defeated the odds and grew up to be a healthy man. THIS IS GOD. This is EVIDENCE of LIFE. USE This argument everytime you encounter opposition. EXPOSE what is evil. God is truth. This is truth. Facts. Evidence.